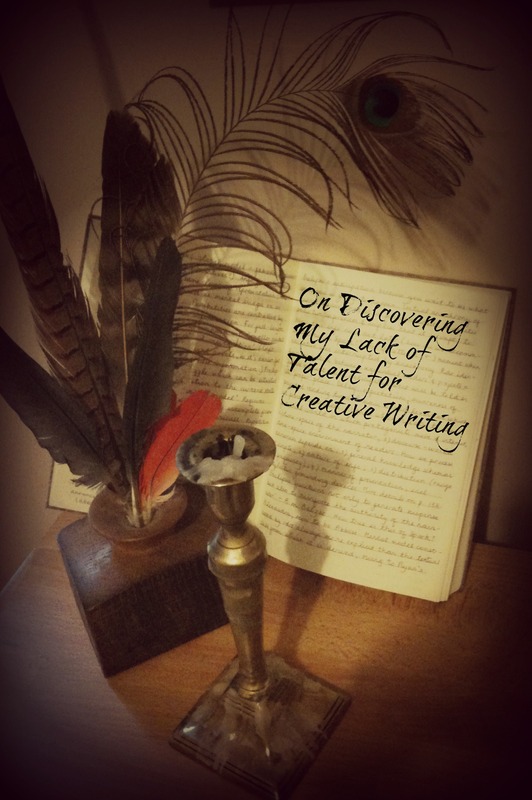 I’ve recently undertaken a Creative Writing MOOC (Massive Open Online Course, or something very like that) because I quite like online learning and I thought it would be a bit of fun, but it has, on the whole, turned out so far to be a rather humiliating experience…the reason for this being that after week one of eight, I have been forced to realise that I have absolutely no talent for creative writing whatsoever. Now this comes as something of a blow, I must admit. Huge chunks of my spare time are taken up with reading and assessing the writing of others, and I thought that perhaps I may have picked up a trick or two along the way. The truth would appear to be quite the opposite. I’ve pasted below some of my efforts by way of proof. When travelling with their instruments, most oboists are in possession of at least two items which could easily double as offensive weapons, and it is for this reason that renowned performer Janet Craxton had her reed knives and mandrils confiscated before she was permitted entry to Russia. And not without just cause. Janet ‘Slasher’ Craxton had already hospitalised three flight attendants and a taxi driver during her journey. In fact, the Russian tour was merely a blind, her real purpose being to establish contact with a remnant of the once-powerful wind-players’ bratva, now forced into hiding to escape the gulags. Pretty much everyone else on the course managed to blend fact with fiction seamlessly, but me? – no. It’s pretty obvious which is the factual element here. But my fellow course members were producing lovely little vignettes in which a reader would be hard-pressed to choose the fact from amongst the fiction. How come they managed it when I couldn’t? My favoured theory at present is that I actually don’t have the confidence to write ‘straight’, as it were – as soon as I start writing, I go for the funny and start taking the wotsit. I like this theory because it entails the implication that once I grow in confidence, my writing will improve, and if this should turn out to be the case then I’m not actually a talentless goon after all. The second exercise we had to complete this week was to write a character sketch in 200 words. My attempt in this round was a bit better, but…well, read it and see. The too-pink notebook lay to the right of Linda’s hand. Linda was terrified of losing it, which was why she had chosen such a garish colour: it was visible. Her last notebook had been black and Linda had believed it lost on several occasions when in fact – no, there it was, the black notebook, sunk to the dark interior of an over-stuffed bag. It had been there all along. No need to panic. Hence the pink for its successor, not a colour Linda would normally have chosen. Linda knew about colours and she knew what a woman of her age and size could get away with. The patterned scarf she wore both brightened her black outfit and hid the sagging skin on her neck. Her expensive haircut was one that flattered thinning hair and she had got into the habit of getting up twenty minutes earlier than was strictly necessary to give her a little more time to spend on her make-up. She felt she needed a bit of help these days. No harm in an extra layer. Still talking to the woman sitting opposite, Linda switched the pen to her left hand and tapped it against the open spiral-bound portfolio while simultaneously reaching out with her right for the notebook – yes, it was still there. See? It’s booooooooring. So, so boring. The only possible point of interest is What’s In The Notebook? – but the trouble with that is that I don’t know. And every idea I’ve toyed with so far is booooooooring. Well, it can only get better. Onto Week 2. Good post! You have expressed your inner feelings towards a course without hiding anything. I hope that you will get on with the course within a couple of classes. Thank you, James, that’s very kind of you, but I’m afraid I chickened out and ditched the course after the first week! I’ve since signed up for a couple of other MOOCs, but one is on corpus linguistics and the other on WWI so I won’t be expected to do anything creative. Best if I stick to what I know…!